Join over 4000 investors nationwide and subscribe to our weekly Market News update for the latest on the Brisbane property market. As one of the CBD’s top selling agencies, we use our experience and knowledge to focus on obtaining the very best price possible for our sellers, even in quieter market conditions! Going that 'extra mile' is the standard for us, not the exception. We successfully target the ‘right’ buyers for your property, by ensuring an optimal and most cost-effective tailor-made marketing campaign. Our extensive database focuses on 'genuine' CBD buyers. Our marketing activities are as individual as you and your property, and can be quickly and effectively adapted to the ever-changing buyer market. As an independent agency we are more flexible and effective, as we are not part of a larger agency group. 15 years specialist experience in Brisbane CBD's residential property market is a huge advantage for you, together with our excellent working relationship with the various building managers. From the very first contact -through the entire sales process - to settlement day and beyond. We are there for you, supporting you, to create the most hassle-free property sales experience possible ... whether you are in Brisbane, interstate or overseas. No query is too small, no issue too minor - we will always do out upmost to find solutions and help you. Constantly monitoring the changes in the CBD marketplace, we have the flexibility to act on these changes quickly to better place your property in the front row of genuine buyer interest. Sellers return as buyers; buyers as sellers; their friends and colleagues ask for our advice – it’s all part of us focusing on building genuine business relationships that last! 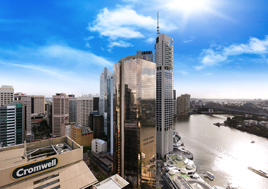 Let us take the hassle out of Brisbane CBD real estate for you! What do people say about their experience with us? Read here.